The bookstore is a haven for scholars, historians, and students from around the world. 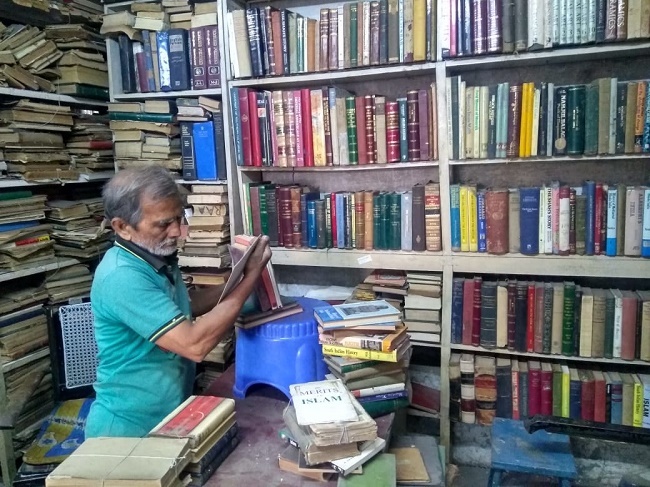 In the narrow lanes of Murgi Chowk in Hyderabad, tucked between lines of antique stores selling cheap artsy stuff, lies a nearly half-century old bookstore. 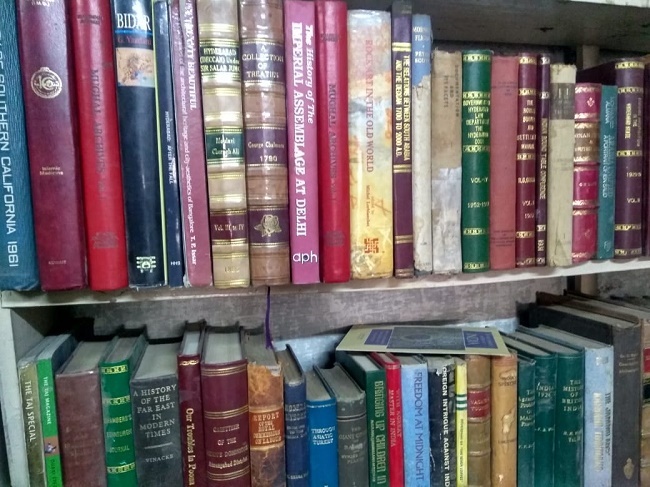 Unless you are a bibliophile who is in search of some little known pieces in Urdu, Persian or French, chances are slim that you will ever notice the board of the Haziq and Mohi bookstore, home to over 10,000 rare collections from around the world. With space for just one person to walk through, the bookstore is strewn with books, from the floor to the ceiling. While some are neatly arranged on the shelves, many are stacked on the floor, with a pile of dust neatly formed on the covers. There is very little grandeur to suggest that this 47-year-old bookstore is a haven for historians, scholars and students from around the world. The Haziq and Mohi bookstore was set up in 1972 by Ahmed Bin Mohammed Bafanna, who was a linguistics graduate from the Osmania University. The entire treasure trove is the personal collection of Bafanna, who believed in passing on the word of knowledge he inherited from his grandfather Salim Bin Ali Bafanna, to younger generations. “Taayaji was a voracious reader. He used to have a group of friends who were equally interested in reading and they used to get books in bulk from markets around the country. If someone was leaving for or coming from abroad, Taayaji had a curated list, rare pieces, which he would ask them to bring. Money was never an issue as long as the book was a rare piece. Also, Taayaji never brought books in single numbers. If he liked the collection at a particular market, he always purchased books in multiples of ten,” says Ibrahim, Bafanna’s nephew who now runs the store. If you assume that the store houses books in random order, you are mistaken. Ask Ibrahim for English fiction, he straight away guides you to the rear of the bookstore, where it is slightly easier to breathe, and lets you sift through books without much hassle. Ask Ibrahim for copies of the census from the Nizam era, he carefully takes out stacks of tattered yellow pages, and gives you a photocopy, as they are rare pieces which do not have a replacement. Philosophy, medicine, mysticism, architecture, Urdu and Persian dictionaries - you name it and Haziq and Mohi has them all. Historians in the city were in for a rude shock when Bafanna passed away three years ago. The shop was closed for a couple of months and this got scholars and students worried about the bookstore's fate. “But we reopened the store in a few months’ time. My father Khaled and I take care of it now. Even a few days before Taayaji passed away, he used to regularly come to the store and attend to his customers. After his death, our family was a little clueless on where to begin as we were mostly ignorant about the worth of many of the books here. It took us a while but now we know the shop inside out. We are also planning to catalogue the entire collection and digitise it for easy references,” Ibrahim explains. Haziq and Mohi is only one among the many stores that Bafanna owned. His collection was so huge that he set up a couple of others around the city. Ibrahim says that the count of his entire collection can easily go over 50,000, not to mention the ones that belong exclusively to his personal collection. Speaking to TNM, Mohammad Safiullah, a well-known historian from Hyderabad, explains how Haziq and Mohi remains one among the few stores that brought Urdu literature back from the verge of extinction. “Urdu as a language is fading away in the Deccan region. 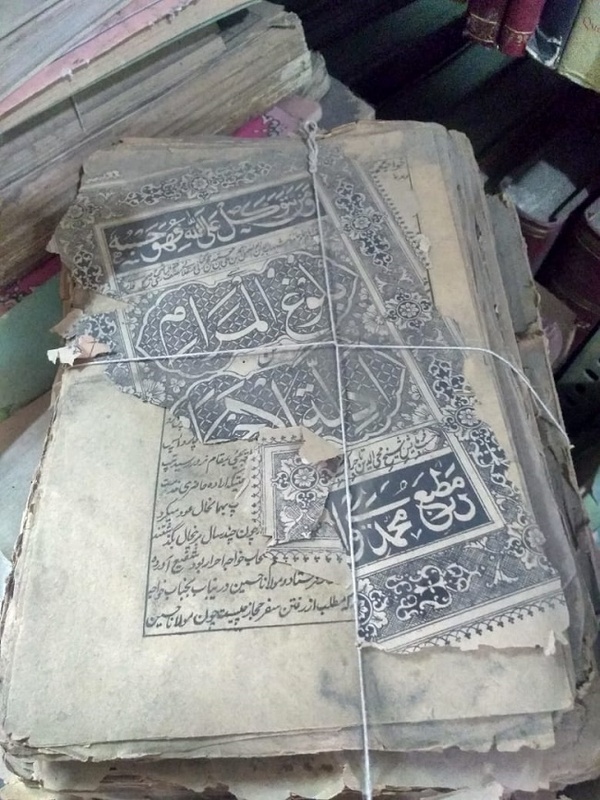 Especially after Independence, importance was given to Telugu and the vast repository of collection found in Urdu, even in public libraries, was downsized. During such times, people like Bafanna took special interest in reclaiming the Urdu identity and even to this day, his collection is a boon to historians like us. Being a book collector myself, half of my collection comes from Haziq and Mohi,” says Safiullah. The books at Haziq and Mohi are priced according to their age. If the book is only half a century old, you can buy it for somewhere between Rs 3,000- Rs 5,000. 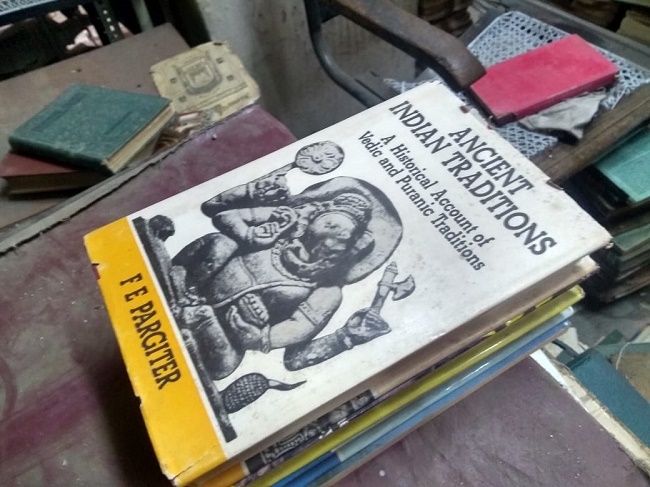 If the book has seen centuries of wear and tear, the price can shoot up to Rs 20,000-Rs 50,000. Certain books are only sold in photocopies as they are the only pieces available. “The costliest book I have ever purchased form Haziq and Mohi was one on the heritage of Hyderabad. I paid close to Rs 40,000, 20 years back,” Safiullah says. While Haziq and Mohi is a popular destination for foreign scholars as well, the store finds a special mention in The White Mughal, one of William Dalrymple’s masterpieces. “There is a mention about how Dalrymple accidentally stumbled upon this bookstore while he was looking for some literature on Bidri. It is said that the writer purchased books worth 400 pounds on the day and was constantly in touch with Bafanna until his death,” Safiullah says. Managing the store now, Ibrahim and Khaled have decided not to add any books to the existing collection as cataloguing the entire store has become an arduous task. "Taayaji knew the place inside out, so he never felt the need to arrange the books. In the past few years, we have managed to catalogue, but have finished only one-fourth of the collection. But we will finish the work soon and bring order as the bookstore remains one of the last hunting grounds for Urdu literature in the city,” Ibrahim adds.